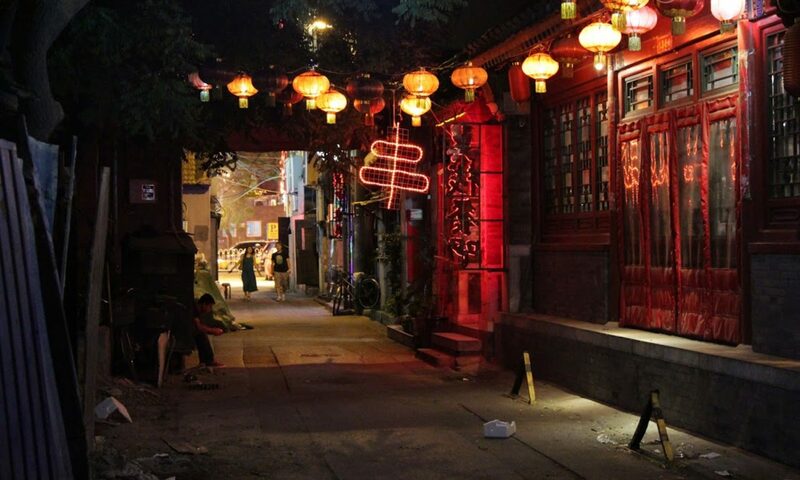 The towns surrounding Qigu Lagoon are a seafood-lover’s dream. Over 20,000 people surround the lagoon, home to some of the best seafood in Taiwan. 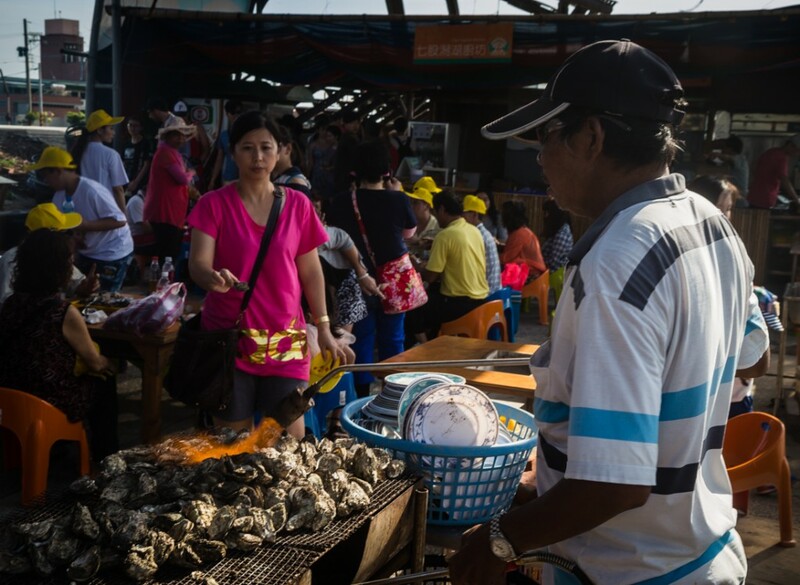 During the TUSA cultural tour of Anping, we stopped at a grilled oyster stand for a mid-afternoon snack. It would be my first time tasting this delicacy. See that big ball of fire in the above photos? 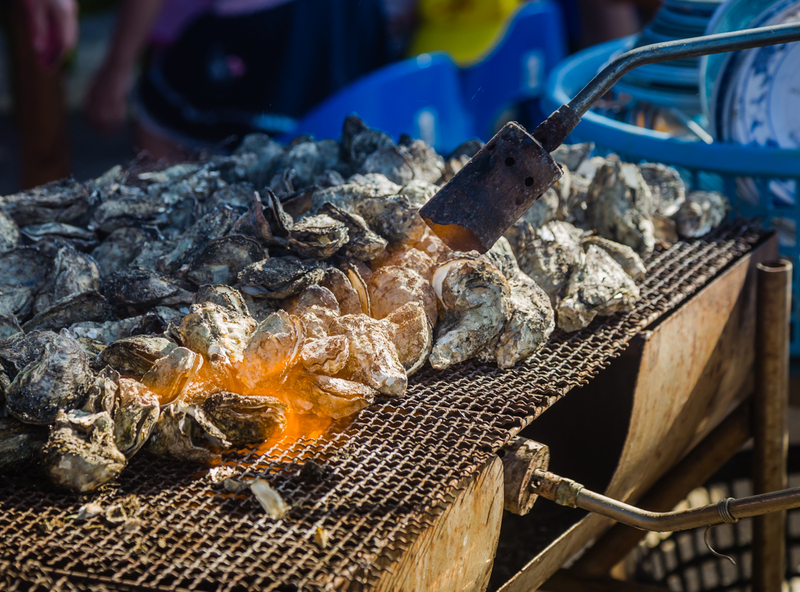 These oysters were grilled with blowtorches over charcoal, giving them an absolutely amazing charred essence. After watching them being cooked for a seeming eternity, a burning hot tray of them finally arrived to our table. Our entire table, especially Juan, couldn’t wait to crack these puppies open. 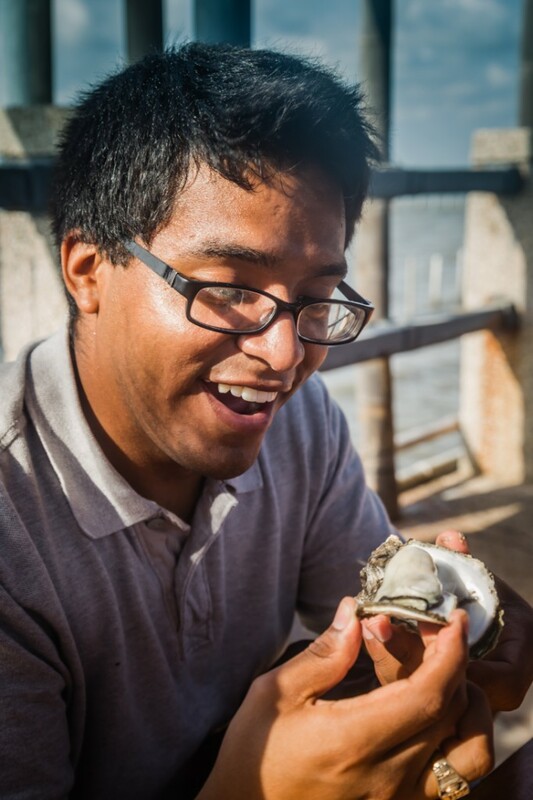 There’s nothing like eating oysters this fresh; you can still taste the ocean in them. 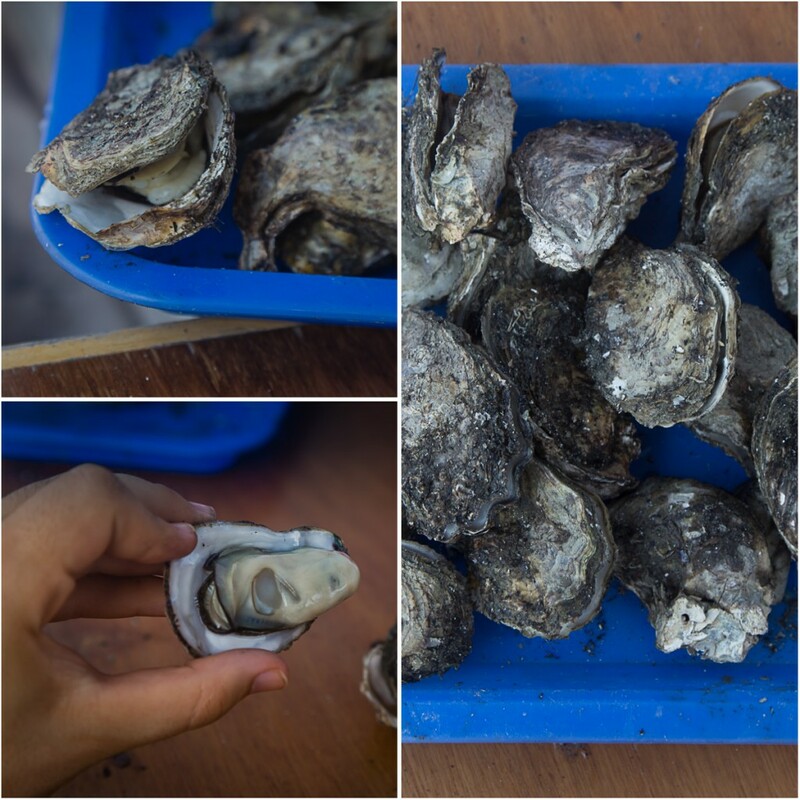 The grilled flavor is present, but the cooked oysters remained perfectly tender. Our table went through over three dozen of these beauties, no problem. 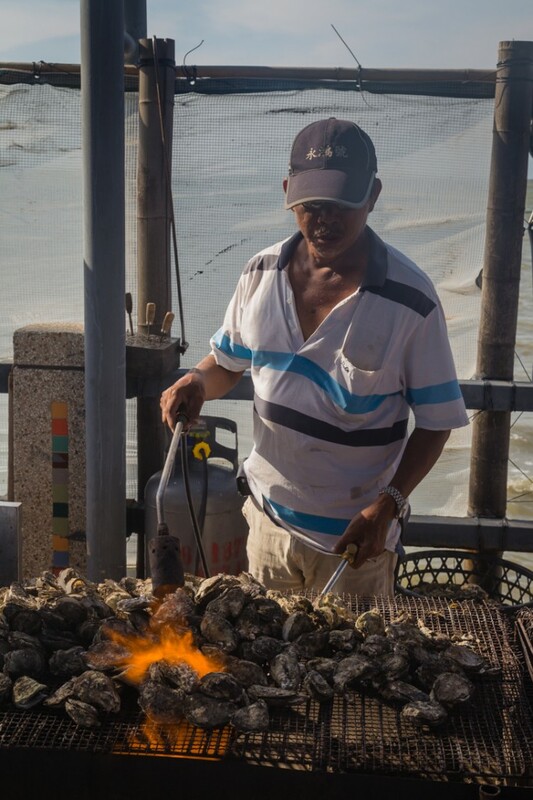 I’m not sure exactly why, but by taking photos of our master oyster griller, we ended up becoming buddies. 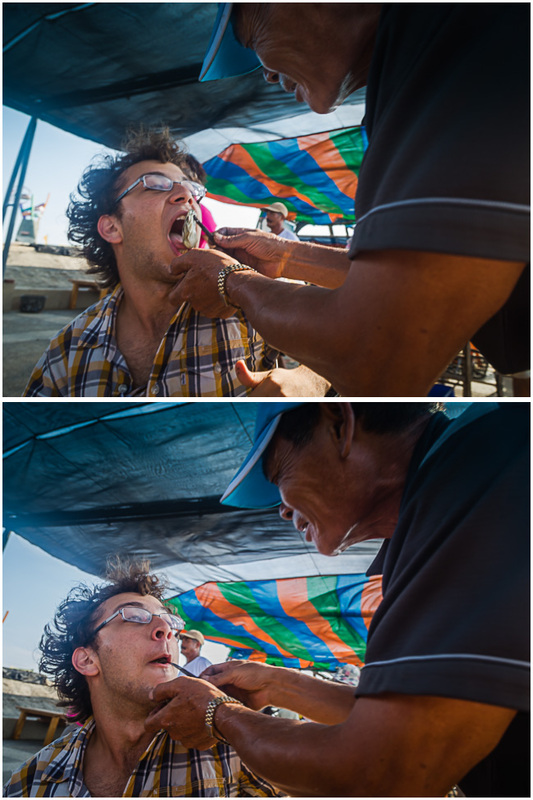 He (and our entire table) took great pleasure in the fact that he chose to hand-feed oysters to only me. They were absolutely delicious straight from the grill!